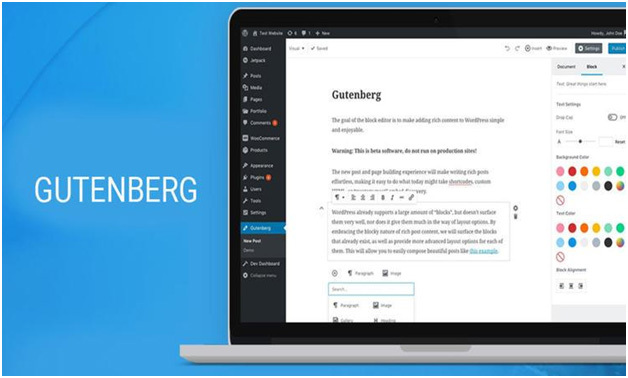 If you are a WordPress user then you would have definitely come across its latest update- the Gutenberg Editor. For those unaware, Gutenberg Editor is a block-based editor that makes your WP interface simple to use. It also comes with much better features than the earlier versions which make for a new and advanced way of creating and editing content on WordPress. What is different with Gutenberg? Gutenberg is all about blocks. 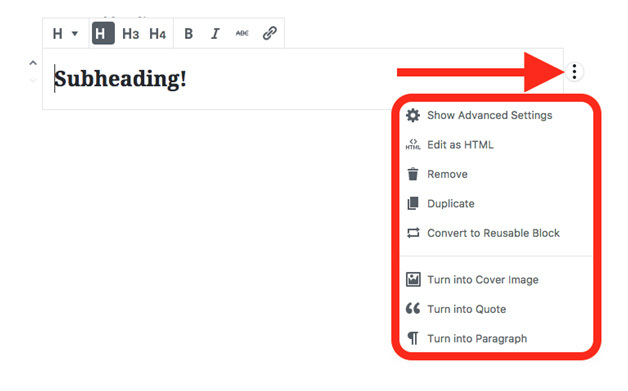 This means that unlike the earlier WP versions, there is no single editor box on the dashboard. Rather, each element of the content is broken up into different formats and with a block dedicated to each of them. With the new interface, it would be much easier to tackle each piece of content like the headline, paragraph, CTA button, images, videos, quotes etc. separately. You can edit, position, and customize each block as per your website’s needs. New visual styles with more options of font, colors, typeface, background etc. Gutenberg is designed to be more user-friendly and convenient, even for those who are not web development experts. Here’s a basic user-guide to creating a page/post with the new and improved WP version. This allows you to add a title/headline to your page or post. • Suggested- for adding new blocks and recent- for used ones. • Block options- for common, formatting, layout, and widgets. You can also use the search field to locate the block that you need. 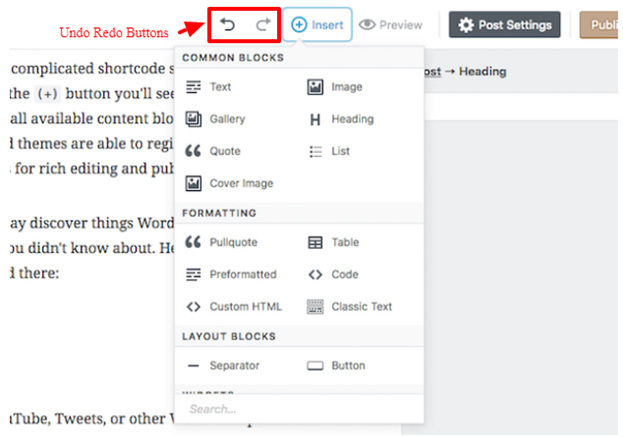 Use these buttons to move redo or undo any changes to your content. The settings options lets you add features, images, tags, categories, etc. to your content. With the ‘block’ option under settings, you can change the settings of individual blocks. After creating the final content and editing each block, it’s time to preview your work and publish the same. 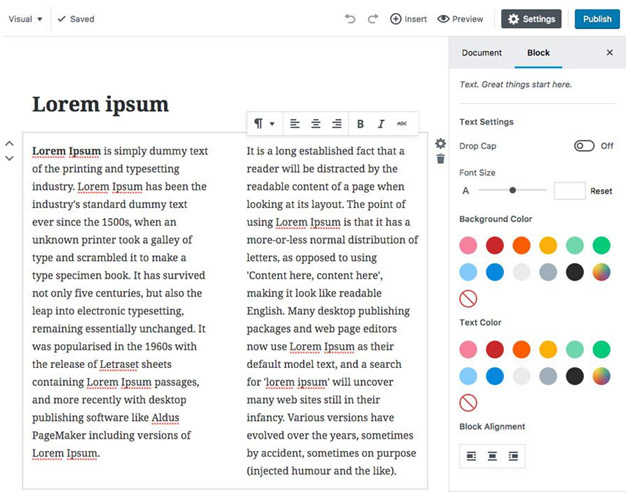 With Gutenberg Editor, you can simultaneously preview the changes while you are working on each block. With a visually appealing editing interface and unrestricted content creation experience, the block-based Gutenberg Editor lets you integrate rich content in your site in the most convenient manner. To be able to completely avail the benefits of this CMS feature, you need the support of a state-of-the-art hosting solution. A good WordPress hosting provider can keep up with the constant upgrade of the advanced features of Gutenberg Editor, while you spend quality time and efforts in exploring the editor and focus on your creativity.